Anyone who has bought, sold or let a property, in the last few years will be aware of the need for an Energy Performance Certificate (EPC). This is a document which ranks properties in terms of energy efficiency and gives a guide to prospective buyers or tenants on how efficiently a property uses energy and where this can be improved. The certificate is issued by qualified domestic energy advisors who are equipped to issue an EPC and energy efficiency rating of between A and G.
But, did you know that the rules regarding this are about to change quite considerably? If you are someone who is in the position to let a property, then you should be aware of the 2018 Energy Performance Certificate changes for landlords. To find out more, see the details below. The regulations coming into force on April 1, 2018, prohibit the letting of properties that do not meet the minimum energy performance standard. From this date, anyone letting residential and commercial properties with an EPC rating lower than ‘E’, could be subject to strict penalties. The term ‘commercial properties’ relates to any property let on a tenancy, which is not a dwelling. The minimum standard to be achieved will be based on CO2 emissions. Domestic properties, namely those let under an assured tenancy for the purposes of the Housing Act 1998, or a tenancy which is regulated for the purposes of the Rent Act 1977 are required to get an EPC with few exceptions. This minimum standard will be based on fuel costs. Official data from the national EPC register indicates that 18 per cent of commercial stock has EPC ratings of F or G and another 20 per cent are rated E. That one in five percentage is quite a considerable figure, given the thousands of properties which are let in the UK as we speak. Not only will properties which fall below this standard be impossible to market to tenants, but local authorities will enforce compliance with the regulations and landlords could also face a fine of between £500 and £5000. The EPC must be current, carried out by qualified domestic energy advisors and no more than 10 years old. Improvements that could be recommended, include cavity wall and solid wall insulation, hot water controls and cylinder insulation, replacement glazing, roof insulation and under floor heating. Circumstances where buildings are exempt include things such as if the improvements would have a negative impact on the property value, if third party consent is denied, or if all improvements that come with no upfront cost to the landlord still leave an EPC rating below the minimum requirements. Buildings and monuments officially protected as part of a designated environment or because of their special architectural historical merit. Temporary buildings with a planned timed use of two years or less. Residential buildings which are intended to be used less than four months of the year. Standalone buildings with a total usable floor area of less than 50 square metres. From 1 April 2018, the regulations will apply on the granting of new tenancies to new and existing tenants. Then, from 1 April 2020, to all privately rented property in scope of the regulations. If you don’t have an EPC, or you’re wondering if there’s anything you need to do before the new regulations come in, as qualified domestic energy advisors in Leicester, our team at Readings can help. 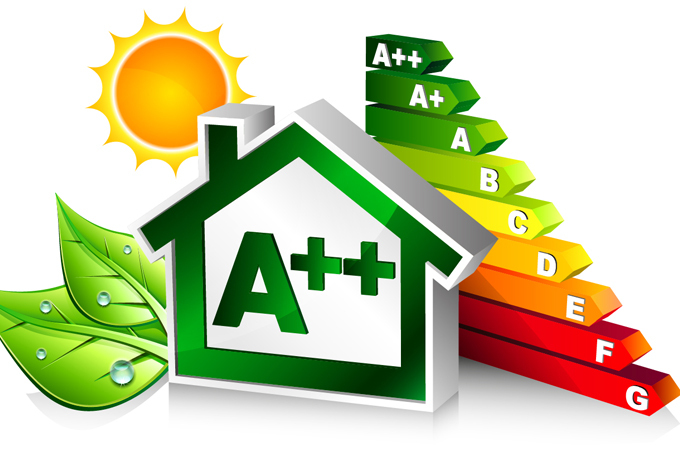 We can carry out an energy efficiency check and issue EPCs from as little as £99 +vat. This means that that our professional and highly experienced team of experts can give you peace of mind in the knowledge that your property meets the required standard, or offer recommendations which will help you to make sure you do before April next year. It’s always a good idea to keep yourself up to date with changes in regulations when you’re a landlord, as well as to give yourself plenty of time to ensure you comply with them. If you need help or advice regarding the changes which are coming about next year, or you would like to organise getting an EPC for your Leicester property, then get in touch with us at Readings today.